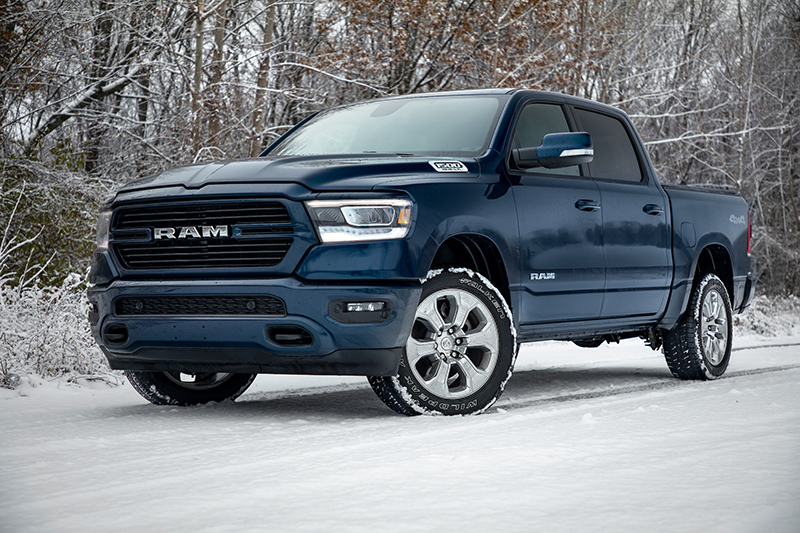 Ram is prepping its truck line for winter with the unveiling this week of its new 2019 Ram 1500 North Edition. Bigland says the truck is available now at dealerships and has a manufacturer’s suggested retail price of $45,890 plus a $1,695 destination fee. The truck is based on the Big Horn model and features three-peak mountain snowflake severe snow service-rate on/off road Falken LT tires; 4×4 transfer case with 4×4 auto, 4×4 high, and 4×4 low settings; one-inch factory lift; electric-locking rear axle; tow hooks; engine block heater; heated seats and steering wheel; remote start; Uconnect 8.4-inch touchscreen with SiriusXM Travel Link Weather; Mopar all-weather floor mats; 12-way power driver seat with four-way power lumbar; engine block heater; heated folding mirrors; front and rear Park Sense audible/visual warning system; and body-colored bumpers, grille, mirrors, door handles, and a rear-fender 4×4 decal. The Ram 1500 North is available in Crew Cab 4×4, short bed or long bed cab body styles with the eTorque 3.6-liter Pentastar or 5.7-liter HEMI V-8.